TF Massif has developed an extra-large flexible electronics roll to roll platform that can be mass-produced in virtually any sizes. To date, no one does it bigger or more cost-efficiently than us. Our unique electronic sign products are commercialized through our marketing arm, CAPTIVA Innovations, and manufactured by our valued licensing partners worldwide. TF Massif builds the largest flexible printed electronic flexible assemblies in the world. TF Massif is the world leader in extra-large flexible electronics, and is currently focusing on developing innovative solutions such as the world’s first illuminated and smart electronic banner product which is now commercialized through it’s marketing arm, CAPTIVA Innovations. Other applications being investigated include: autonomous vehicles, heating elements, large array antennas, as well as other electronics that require large area flexible backplanes as well as sensor, LEDs and/or IOT platform integrations. Using our own proprietary materials and process, TF Massif builds the largest cost effective printed electronic flexible assemblies in the world. 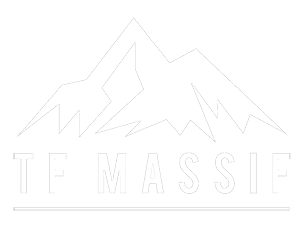 To date, no one does it bigger or more cost-efficiently than TF Massif. Are you working on a project requiring large area flexible electronics as a backplane? We would love to hear from you. Contact us for partnering opportunities. TF Massif is proud to have been commissioned to produce IDTechEx’s illuminated ePosters for the 2018 show in Santa Clara, California. 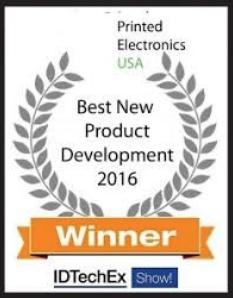 IDTech Award Winner TF Massif was at to the IDTechEX show in 2018 with brand new products.